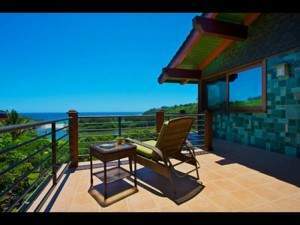 Beautiful ocean views from this 4 bedroom home surrounded by white sandy beaches. 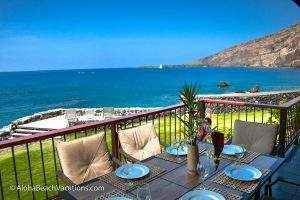 All bedrooms are air conditioned and shopping and dining are nearby. Aliomanu area is off the beaten path which makes Aliomanu a very special place. Some of the best locations are those least traveled. Aliomanu Bay on Kauai has good swimming most of the year, thanks to a protective reef offshore. The nearby reef provides good snorkeling and beginning scuba diving. 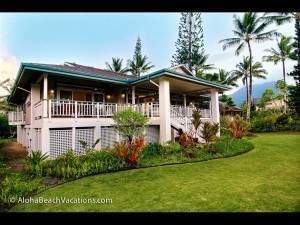 Located mid-way between the Lihue Airport and Princeville at Hanalei, Aliomanu is very conveniently located. It is the gateway to the North Shore. 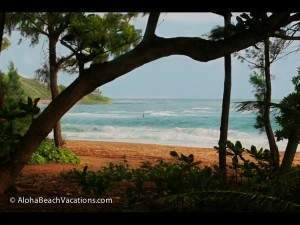 Come, stay with us at Aliomanu Bay on Kauai. Ammenities	No Smoking, 4 Kings, 1 Queen, BEACHFRONT! !